Sunday sees the 100th anniversary of the Titanic disaster. 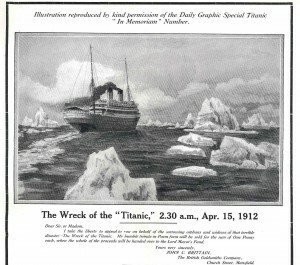 For the last few months we’ve been finding lots of works about the Titanic in our collection. 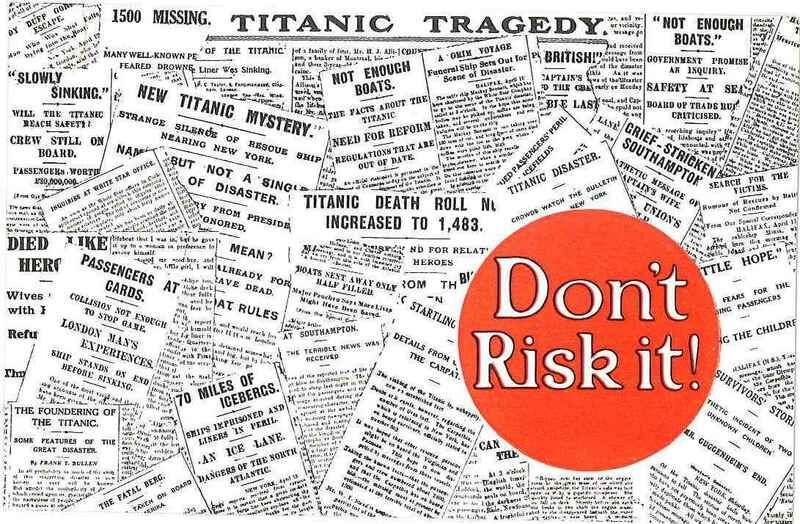 Even today there are very few people who don’t know the story of the sinking of the world famous ‘unsinkable’ ship, and here at the Tower Project we thought that we should mark the anniversary by showing the literary response to the disaster. Several authors published reports into the accident, trying to determine what went wrong and how such a tragedy could be prevented in the future. There was also a strong outpouring of religious texts, linking the Titanic theme in with sermons and the like. 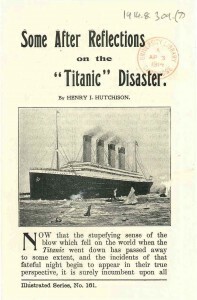 There were also tracts comparing the need to be saved from the Titanic to the need to be saved by the church. Although this may seem slightly odd today, it was a way of getting the religious message across using what were at the time contemporary events. This is no different than the modern church using a contemporary comparison today. Below in the engine room. Brittain sold copies of the poem for a penny with all proceeds going to the Lord Mayor’s Fund for the widows and orphans of the disaster. These poems really make you think about the tremendous loss of life that took place that night and are quite eerie to read. 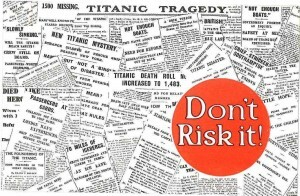 One slightly unsavoury document found in the collection is entitled “Don’t Risk It“. As a pamphlet trying to persuade people to buy insurance from The Colonial Mutual Life Assurance Society, it’s full of the tales of woe of those who didn’t have insurance when they needed it most. Supplied with the pamphlet are two postcards, presumably to be used to advertise insurance services to family or friends. 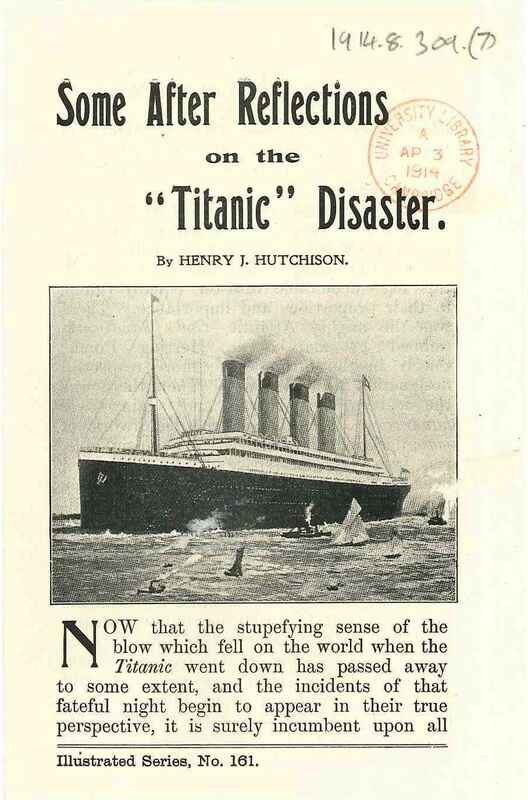 One of these postcards features headlines and news stories about the Titanic’s sinking, as illustrated below. Coming out just a few months after the disaster it does seem to have been in rather poor taste. This entry was posted in Friday feature, Transport and tagged Titanic, transport. Bookmark the permalink.